I was recently visiting the US again, more than a year after my last visit and some two-and-a-half years after I moved from New York to Brussels. Twelve years working for the United Nations in New York may not qualify me for US citizenship or a green card, and I am not sure I would want either at this stage in my life, but certainly a New Yorker I feel, then, now and forever. New York for me is the capital of the world, not only because of the United Nations, and less so because of Wall Street, but certainly also because of the immense diversity in cultures and cuisines, languages spoken, music, exhibits and other cultural activities from across the globe. You can find everything in New York and you can find New York everywhere – in the movies that the world watches, in the change of the year at Times Square, in what the New York Times publishes, in the trends that New York sets. The city is full of beautiful, ambitious and creative people. It is dynamic and intense. It is where you live your dream, if you want it hard enough: the sky is the limit here. Quite a contrast from Brussels, the capital of Belgium and the seat of the main European Union institutions, where I now live. “Gotham City” or “The Big Apple”, as New York is also known, rises into the skies, with its high-rise office and residential buildings. Brussels has an area of high-rise buildings, ambitiously called “Manhattan” by the way, but it is mainly a beautiful, art deco, low-rise city with some medieval structures still intact at is famous Grand Place. New York’s skies may pour down with rain and snow, lots of snow during a heavy winter, but they are deep blue and sunny the rest of the time. Brussels, in turn, tends to be milder but often overcast and with drizzle, giving you a claustrophobic feeling when you do not see the sun for weeks at a time. New York is multicultural, with distinct neighbourhoods, restaurants and supermarkets, with its numerous national parades spreading their special flavour each time – from St. Patrick’s Day Parade to the Puerto Rican, Greek, and many others. Brussels is also becoming increasingly multicultural, mainly with Europeans from other countries and Arabs from North Africa, some sub-Saharan Africans too, and of course it has its indigenous linguistic divide between French and Dutch/Flemish speakers. As apparently is the case in the rest of Europe, rather than being a source of richness and pride these diverse cultural identities seem to be a cause of concern, with political correctness trying to ignore them and political expediency trying to accentuate them. Plays and musicals on Broadway, performances at Lincoln Center and Carnegie Hall, exhibits at the MoMA, the Metropolitan Museum and the Guggenheim, movies shot in and about the city, set trends and are points of reference worldwide. Brussels, of much smaller size than New York, has a surprisingly vibrant artistic scene that its inhabitants enjoy thanks to institutions like Bozar, Flagey and Ancienne Belgique, but has no claim on influencing people beyond its limits, not even within the EU. New York is known as “the city that never sleeps”, with the subway (metro) running 24/7, delis and some other stores the same, shops opening long hours including on Sundays, and with attentive service offered by shopkeepers to waiters to bank tellers. Brussels thankfully has an increasing number of night stores and supermarkets that also open on Sundays, but most shops open during office hours, making it difficult for office workers to visit them. Services often seem to be offered with the rights of the person serving in mind, rather than of the client, who undoubtedly does not seem to “be king”… And I could go on and on making such comparisons between the two cities. What am I getting at with these arguments? 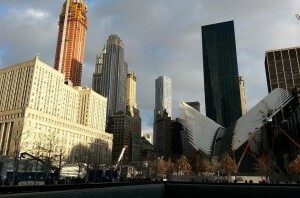 Is this an unqualified eulogy for New York and a scathing criticism for Brussels? A praise for America and a castigation of Europe? Not really, not least because I am aware of the many problems New York and the US model have. The infrastructure has a lot to be desired, notably the train system, which is still old and slow; no TGV or Thalys connecting New York to Washington or Boston for example, unlike the impressive connections that Brussels boasts of with Paris, London, Amsterdam, Cologne. 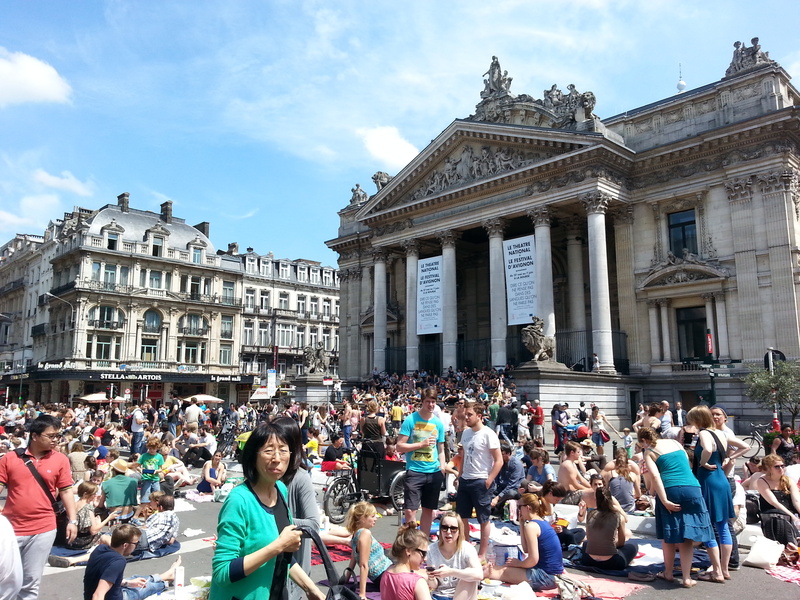 Criminality is lower in Brussels and life is quite comfortable, more family-friendly and less stressful than New York. Working people are entitled to longer vacations and other benefits, and can count on high-quality healthcare and education at significantly lower cost. Inequalities may be rising but still in Brussels and Europe there is a large middle class that enjoys a good life. There may be racial tensions but Europe is not facing situations like in Ferguson, Missouri or in New York, with deadly attacks between black US citizens and the police. My critical comparisons between New York and Brussels have been an attempt to distil the best of both worlds, and hopefully infuse what is missing from one to the other. For Europe, which is the focus of this publication, it would mean, among other things, less parochialism and more ambition for the future at individual and collective levels; more client orientation and more flexibility in employment conditions, while keeping an overall guaranteed social safety net that is the jewel of the “European model”; more openness to other cultures and influences, notably those from other countries of the EU but also beyond; much more openness towards and investment in new ideas, innovation and creativity; and an overall more optimistic attitude and can-do spirit. This entry was posted in EU, UN, US and tagged Brussels, EU, New York, UN, US on Sunday, 1 February 2015 by Georgios Kostakos. Ten years after the US-led invasion of Iraq, it is being widely acknowledged that this was an illegal war, based on fabricated intelligence and with regime change foremost in mind. Moreover, it was fought without proper planning for the post-Saddam era, and at a cost of dozens of thousands of lives and hundreds of billions if not trillions of dollars, leaving a mess in Iraq and beyond. This much is being admitted publicly even by protagonists in this drama, like the then Deputy Prime Minister of the UK John Prescott. The natural next step in any law-abiding society with a reasonably long statute of limitations would be to assign responsibilities, investigate and prosecute those responsible for all this loss of life and treasure. The means might differ from one country to the other, with options including parliamentary or judicial commissions of inquiry or plain public prosecutor investigations. But one would expect something along these lines to happen both in the US and the UK. Of course, there can be mitigating circumstances and mistakes made in good faith. But that is for the judicial process to decide. Those who made the wrong decisions have to explain themselves, in public. And they have to accept the consequences of their actions, as they wanted to make others pay for their wrong deeds. When that happens in earnest, and only then, may the professed moral superiority of the West be proven in practice. This entry was posted in Iraq, The West, Uncategorized, US and tagged Invasion, Iraq, Justice, the West, UK, US on Wednesday, 20 March 2013 by Georgios Kostakos. The race is down to the finishing line, and in a couple of days we will know who the next US President will be. The whole world has been watching the drama unfold on our TV screens, worthy of a Hollywood production with elements of science fiction, thanks to super-storm Sandy. Taking into account that many of us do no have the right to vote in the US elections, it is quite an overkill the way the Presidential race is covered by non-US media. At the same time, it is not easy to remain indifferent to the dramatic debates, the massive scale of meetings and electoral expenses, the dogged determination of the candidates crisscrossing this vast country. It is these fascinating “democracy rituals” that the American Republic has developed, and the realization, even if unpleasant to some, that the US still matters the most among the countries of the world, that attract the global interest in this election that involves less than 5 per cent of the world’s population. What is it that the US still has that gives it such predominance? With a crumbling infrastructure – see New York City after Sandy – a huge debt, declining industry, increasing inequality and unemployment, this seems to be a country in decline, an empire whose best days are past. Nevertheless, the country remains the main global trend-setter, innovator, political and military leader, as well as moral norm proponent (even if in practice it does not always respect such norms itself – see Guantanamo and CIA “renditions”). It maintains its “killer instinct”, ready to use, effectively and in an escalating way, all means, from political to economic and military, to achieve its objectives. The American dream has an irresistible allure for the majority of people, who watch Hollywood movies and American TV shows, use the latest gadgets and social networks launched by US firms, and expect the US to do something about all of the world’s problems, even if they criticize it anyway. The new US President will have to deal with all this, build on the strengths and address the weaknesses. And it is on how they deal with the weaknesses that the differences between the two candidates seems to be most clear. President Obama seems inclined to focus on “nation-building” at home, tackling the shortcomings that have emerged within the American society, rebuilding the crumbling infrastructure and mending the inequality gap that has increased significantly between the haves and the have-nots inside the US, while maintaining a respectful and rather restrained presence abroad. Governor Romney seems more inclined to export the US problems, with a more assertive presence abroad, notably military presence, which is hoped will restore America’s clear predominance and will correct domestic problems by being tough on trade, monetary issues, resource access, etc. Whoever wins, will try their best to elevate their country and their leadership in the way they think best. Come January 2013, the world will work with either President Romney or President Obama, no matter what preference people might have had before the elections. The world needs a strong US, because leadership is hard to find, and the challenges are numerous, many of them of a global nature, like climate change, food insecurity, financial instability, resource scarcity. For the same reasons, the world needs a strong Europe, and a strong China, and India, and Brazil, and a strong Africa, and Southeast Asia and Latin America. These countries and regions also need to show leadership, and take on the glory and cost that leadership entails. It is not about balancing or unseating the US from the global throne. The more leadership the better, as long as it is not of the confrontational type. We need leadership of the problem-solving type, addressing real issues and not just playing geopolitical games. In that sense, the world would probably vote for Obama, if it were allowed to vote in the US elections. Despite his known shortcomings, including an apparent intellectual aloofness and problems with consensus building in his own capital, he has been projecting a more benign and constructive America, which seems to be learning from its mistakes in Iraq and elsewhere and tries to avoid making new ones. This kind of America, one that also starts dealing seriously with its own problems at home, would be more of an asset to the world and leader for a new era of more balanced burden-sharing and problem-solving. PS: Barack Obama has just been reelected, with a convincing majority. Expectations are running high, and he seems determined to meet them. He is in a good place, with nothing to lose in his second and final term — nothing other than his good name and legacy, that is, if he does not deliver. His reaching out to his defeated opponent for ideas to get the US back on track is a good sign of bipartisanship, which is necessary if things are to be done. His talk of America being a peaceful and generous power for the world, reference to climate change and other elements of his speech bode well for the future. Amen! This entry was posted in US and tagged Africa, Brazil, China, elections, Europe, Latin America, Obama, Romney, Southeast Asia on Sunday, 4 November 2012 by Georgios Kostakos.